The compensation received will never influence the content, topics or posts made in this blog. All advertising is in the form of advertisements generated by a third party ad network. Those advertisements will be identified as advertisements or sponsors. If you choose to purchase products via our sponsors, advertisements, or affiliate links placed on the site, we will receive some compensation. The owner(s) of this blog is sometimes compensated to provide opinion on products, services, websites and various other topics. Even though the owner(s) of this blog receives compensation for some posts or advertisements, we always give our honest opinions, findings, beliefs, or experiences on those topics or products. The views and opinions expressed on this blog are purely the bloggers’ own. Any product claim, statistic, quote or other representation about a product or service should be verified with the manufacturer, provider or party in question. The giveaways on this blog are not affiliated with Facebook, Twitter, Instagram, Pinterest, etc. All giveaways are free of charge and there is no purchase necessary to participate. Meet The Chambers is not responsible for prizes not fulfilled by the company. We simply host the giveaway and give the winner’s information to the company to provide the giveaway prize to the winner. 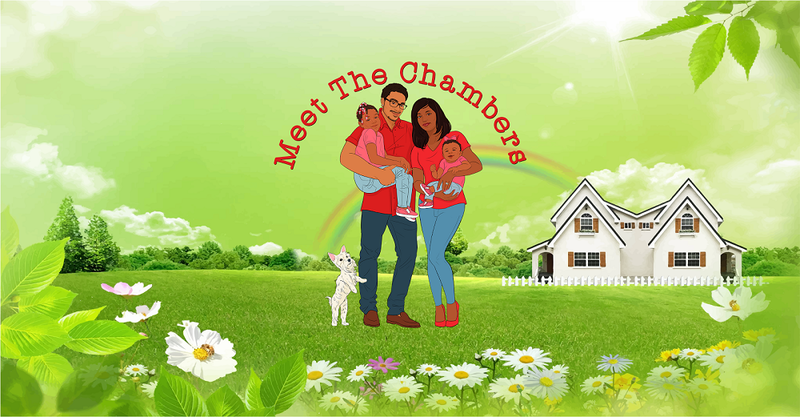 Meet The Chambers is not responsible for ANYTHING about the product. Use your best judgement when using a product and consult with any appropriate professional first. You are agreeing to the terms stated in this disclosure and are releasing the blog and its author from any liability. If you do not agree with anything stated in the disclosure, please do not use the blog or enter giveaways. For a lot of reviews I have bought the product myself or have seen the product and wanted to share it with you. If I have been compensated for a review or given a product to review a “disclaimer” link will be at the bottom of the page and also mentioned in the post. Your privacy is important to us. We do not sell your information. Your information such as your email and name will only be shared if you enter a giveaway. This information will be shared with the sponsor who will contact you about your prize if you are the winner. We are not responsible for what a sponsor does with your information. If you have any questions when the sponsor contacts you, please ask the sponsor.